I’ve wondered what makes people fight in the ring. It’s come up now and again because I am doing Muay Thai. Everyone is different and the reasons for training and fighting are not necessarily the same. 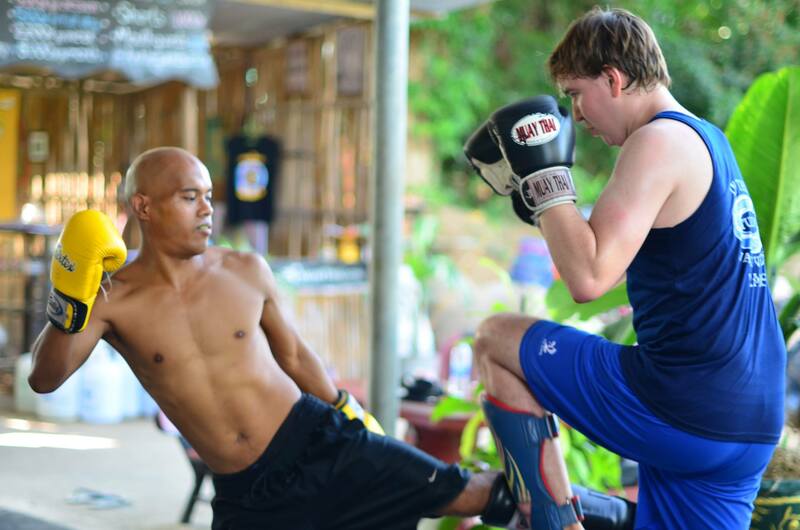 Since I’ve done muay thai for the last 3 and a half months I’ve struggled to find a reason why I train. Do I even need a reason in the first place or do I need to know the reason to know that this is right at this moment. I want to commit to something and break free of the limitations I see within myself and of those imposed by others. I guess I want to redefine what I see as possible within. That’s as close as I can come to an answer but the thing is would I want to fight? Do I want to fight? I know that’s the goal, to get past my fear and push harder and in ways no one could ever picture me doing. I can’t do that for anyone but myself. It has to come from within. I haven’t told many people that I want to fight it out on the ring. I’ve never believed that I would be good enough and that is the first thing that needs to change. You have to believe you got a chance and be willing to put the time and energy you can to give yourself the best possible chance to succeed. That doesn’t mean that success can ever be guaranteed but if you do everything within your power to prepare, if you go beyond what you think is possible then you have already won no matter the outcome in the ring. I have to stop believing that I can’t, I must banish that thought from my vocabulary and only believe in the words I can, I will. Those are the words I must live by starting today. It means hard work, it means falls and fails, it will need me to focus on my physical conditioning and strengthening my mental game but I can, I must, I will because I want it to signal for myself a start to seeing the door opened not the ones that are closed, cause that’s the only one that matters in the end. So when I get into the ring, when I give it voice to the gym I will do so with the goal of going beyond winning the fight, although I want to win what’s more important is setting the stage for what is to come outside the ring even more so than within the ring. Getting into the ring in a muay thai fight is as much a metaphor to beat my demons and say that I can take it as well as I can give it.